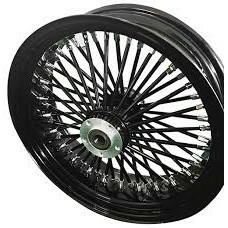 WHEEL, SOLID, REAR, 18 X 5.5, BEAUTIFUL MIRROR POLISHED FINISH FITS 2000 AND LATER..
21 X 3.5 FAT 48 SPOKE BLACK & CHROME SINGLE DISC..
21 X 2.15 KING SPOKE, BLACK ON BLACK, DUAL DISC, FRONT WHEEL , 2000 &a..
18 X 5.5 REAR BLACK & CHROME 48 FAT SPOKE1" AXLE..
16 X 5.5 REAR FAT 48 SPOKE WHEELBLACK WITH CHROME SPOKES1" AXLE..
48 FAT SPOKE BLACK ON BLACK WHEEL 16 X 3.5" REAR 1" SEALED BEARING..
48 FAT SPOKE BLACK ON BLACK WHEEL 21 X 3.5 DUAL DISC FRONT 1" SEALED BEARING..
16 X 3.5, I INCH BEARING REAR 48 FAT SPOKE CHROME CHROME RIM, HUB AND SPOKES..
16 X 3.5 DD FRONT BLACK ON BLACK, 48 FAT SPOKE FITS 2000 & LATER, 1" BEARINGS..
16 X 3.5 48 FAT SPOKE WHEEL, CHROME, DUAL DISC1" BALL BEARINGFITS '00-LATER..
21" X 2.15" , ALL BLACK, 48 FAT SPOKE, FRONT WHEEL, SINGLE DISC..
WHEEL,KING SPOKE,REAR,BLACK & CHROME,18 X 3.5 COMES WITH 1" BEARINGSFITS 2000 & LATER..
WHEEL, KING SPOKE, REAR ,BLACK & CHROME, 18 X 10.5"
WHEEL, KING SPOKE, REAR, BLACK & CHROME, 18 X 10.5" BLACK HUB, BLACK RIM, CHROME SPOKES&nbs..
KING SPOKE, NARROW WHEEL, 21 X 2.15, SD, CHROME & BLACK, SINGLE DISC FITS NARROW GLIDE..
KING SPOKE WHEEL, NARROW, 21 X 2.15, SD, CHROME , SINGLE DISC, FITS NARROW GLIDE BIKES..
KING SPOKE WHEEL, 21 X 2.15, BLACK & CHROME , FRONT, SINGLE DISC BLACK RIM AND HUB, C.. 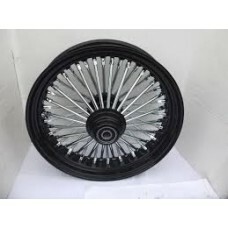 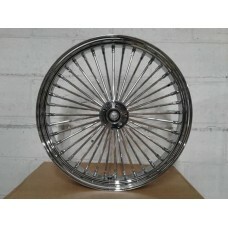 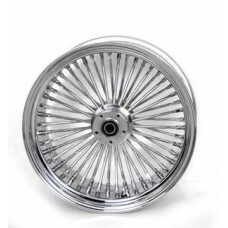 Factory Products, Chrome Single Disc Front 16 x 3.5 Fat Spoke. 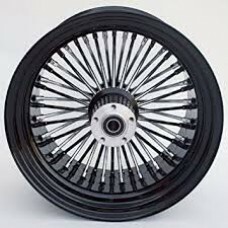 Chrome Single Disc Front 16 x 3.5 Fat Spoke Wheel With Chrome Spokes And a Chrome Hub..
1 Inch Bearing, Black Single Disc 16 x 3.5 Fat Spoke With Chrome Spokes And a Black Hub.. 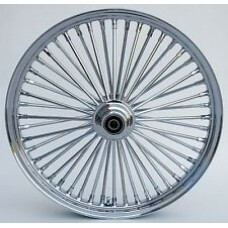 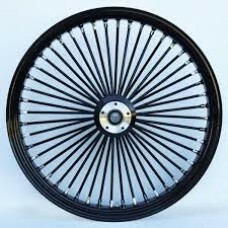 FACTORY PRODUCTS 26 X 3.5 SINGLEDISC FAT 48 SPOKE CHROME.. 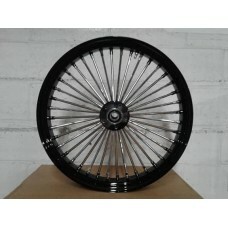 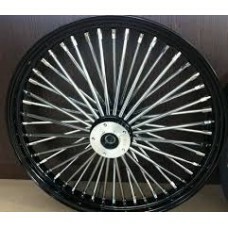 FACTORY PRODUCTS 21 X 3.5 DUAL DISC FAT 48 SPOKE BLACK & CHROME..